Even professional photographers occasionally struggle with the question of just how big can they blow up their images without losing image quality. 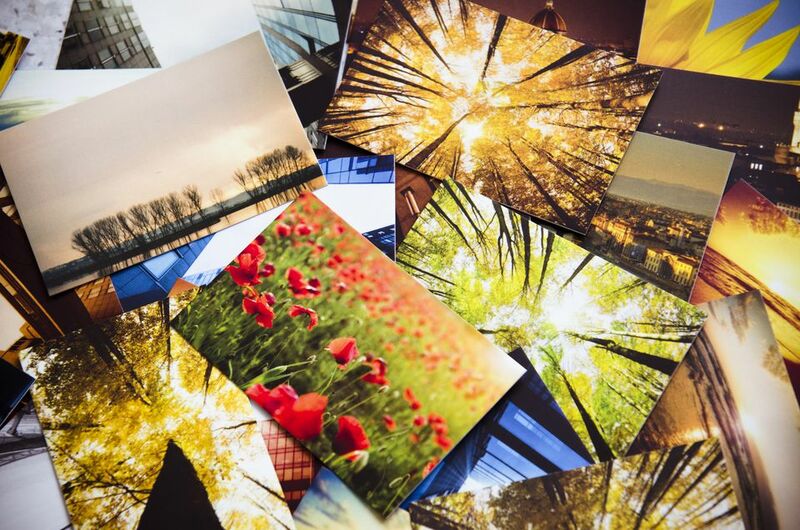 The bottom line on how big you can print your photos depends on a couple of factors. The amount of photo data stored depends on your camera settings and capabilities. Even if you have a 12-megapixel camera, you may have considerably less data depending on settings. To get the full capability of your camera, you must set the image quality to its highest setting. Since the standard printing resolution for photographs is 300dpi, you can calculate the approximate megapixels needed for each image size. Multiply the image height and width by 300 to get a rule of thumb for pixels needed for that print. For example, and 8x10 becomes 2400x3000 pixels. Next multiply the pixel dimensions together. That means 2400x3000 becomes 7.2 million. That is the number of megapixels needed to record a print quality 8x10 image. Have you ever noticed that if you sit too close to your TV the picture loses quality? TV displays are designed for certain viewing distances. With print images, the same thing happens. Large prints are meant to be viewed from a few feet away, not inches. This means that a lower resolution image or image with less data can still be printed with satisfactory results. An 8x10 is the smallest standard size print designed to be viewed from at least 2 feet away. This means that while 7.2 megapixels of information is required to record a 300dpi 8x10, the viewing distance lowers the amount of information needed for a visually good print. While not a perfect rule, divide the pixels needed by the viewing distance (in feet) to get an idea of how little data you can get away with. For an 8x10, divide 7.2 megapixels by 2 (feet). This means you can print a 3.6-megapixel image at an 8x10 size for reasonable results. The further away from an image you view the image, the stronger these results are and the more accurate. What type of material your photograph is printed on makes a big difference in the visual print quality. The rougher the material, the less data needed to make a reasonable print. The smoother and glossier the image, the more data you need for a visually acceptable print. This is because a textured surface hides some image imperfections and gives our eyes and "excuse" for missing or blurred information. There are no formulas for calculating this difference; this is a factor you must experiment with on your own to find what you find visually acceptable.